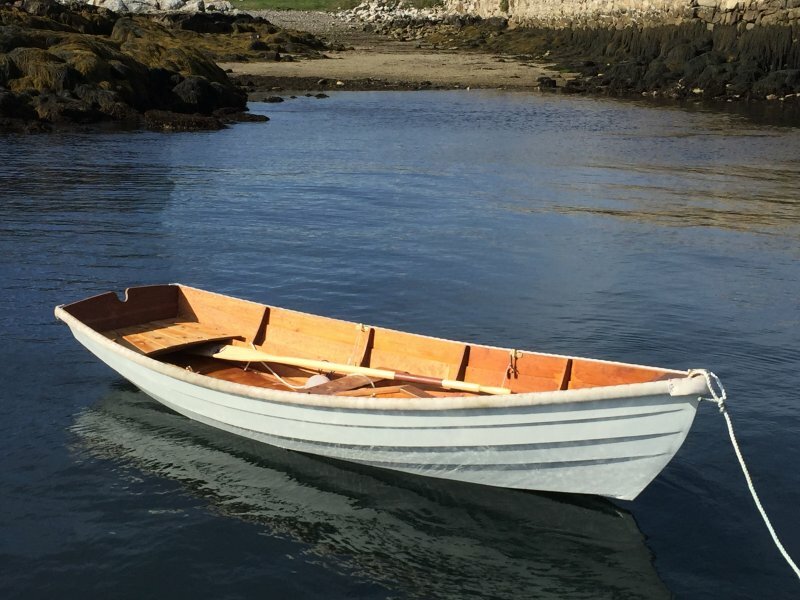 Jack Farrell launched this Daisy skiff at Star Island, Isles of Shoals in New Hampshire, last summer. Students at the WoodenBoat School built the boat about ten years ago. One class member won the boat raffle and took it home to his home in New Jersey, where he planned to finish it off. The boat sat incomplete for several years until Jack bought it and finished of sternsheets, rails, and other trim. The boat will work as a tender at the Oceanic Hotel on Star Island. Harry Bryan, Bryan Boatbuilding, 329 Mascarene Rd., Letete, NB, E5C 2P6, Canada; 506–755–2486; harrymartha@hotmail.com; www.harrybryan.com.